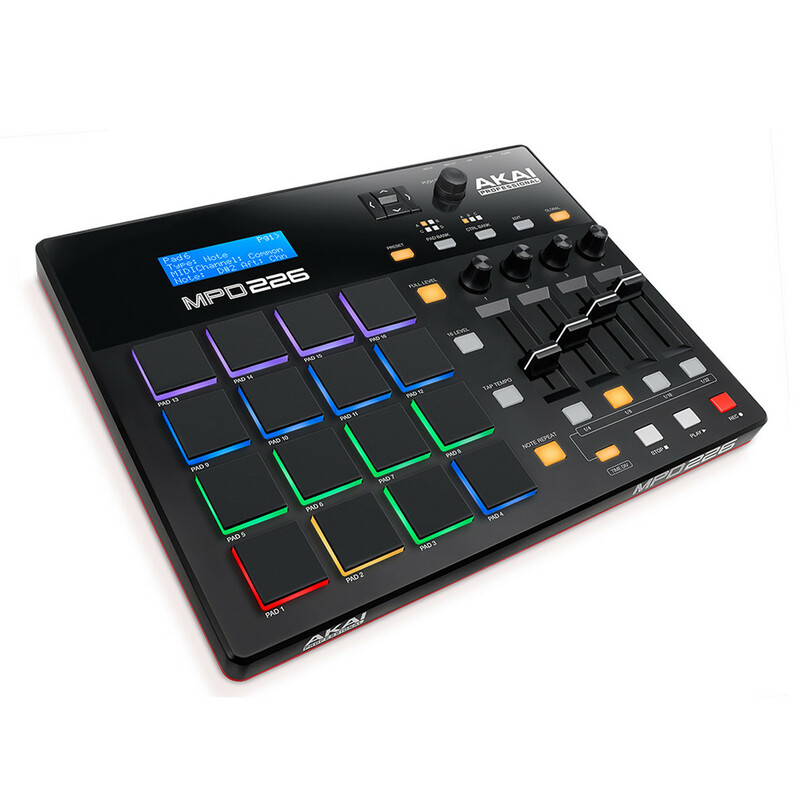 The Akai MPD226 Pad Controller with Faders is part of the most capable and user-friendly line of pad controllers Akai Professional has developed to date. 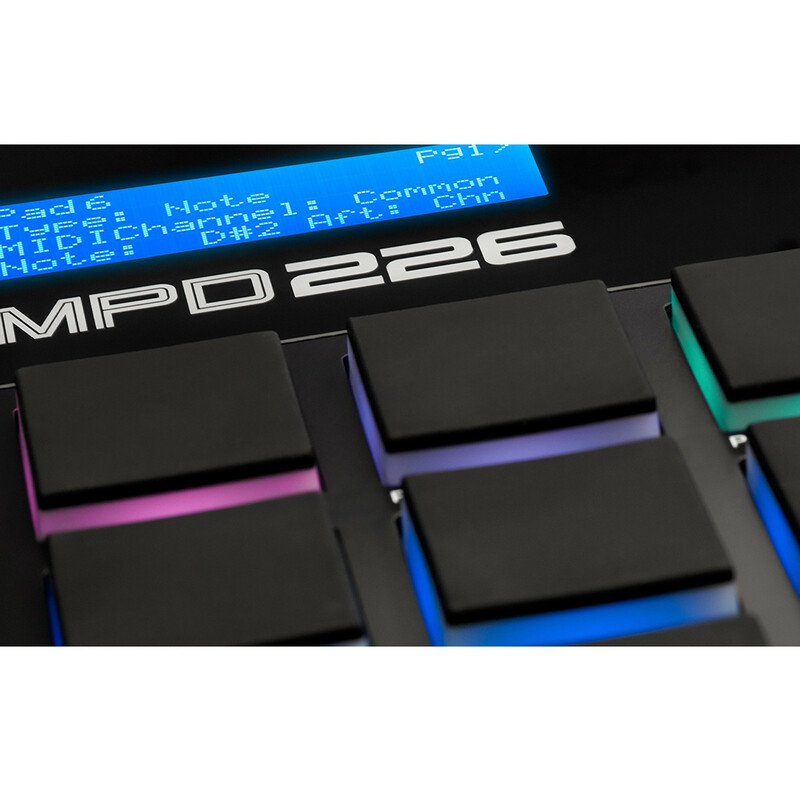 Featuring RGB light-up MPC pads and a greatly expanded control set of 4 knobs, 4 faders, 4 buttons in 3 banks for 36 total controls, the MPD226 allows musicians of any level to enhance their performance right away with the easy-to-use Preset Editor. User interaction is amazingly responsive thanks to the new, ultra sensitive Thick Fat MPC pads, and with the convenient USB power, there's no need for an AC adapter. 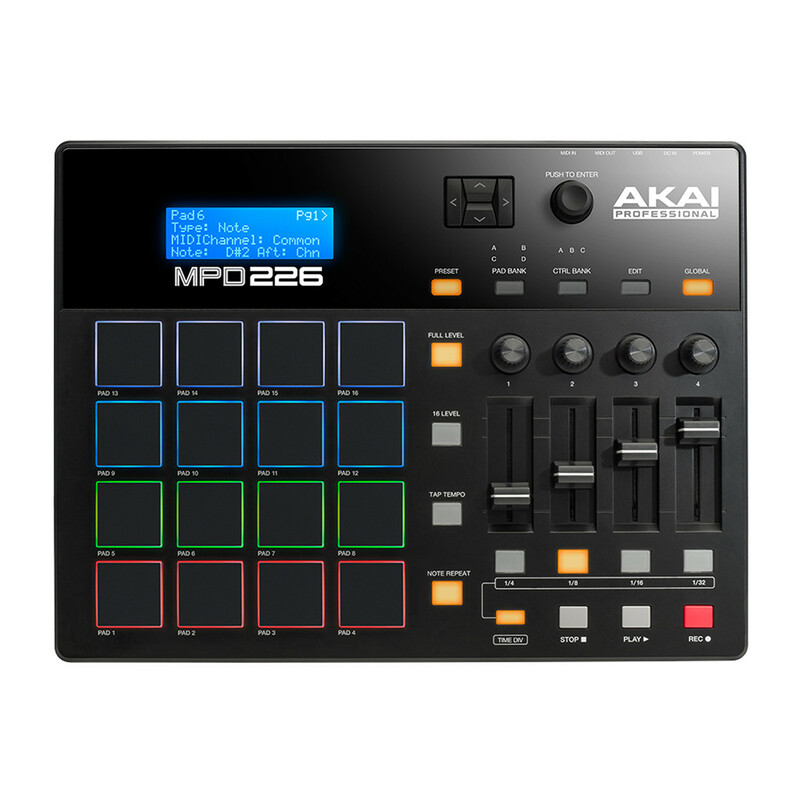 The Akai MPD226 is the product of over six years of detailed customer research and user feedback, featuring an expanded control set to maximize the sounds and effects available to the user, and comes complete with Ableton Live Lite. 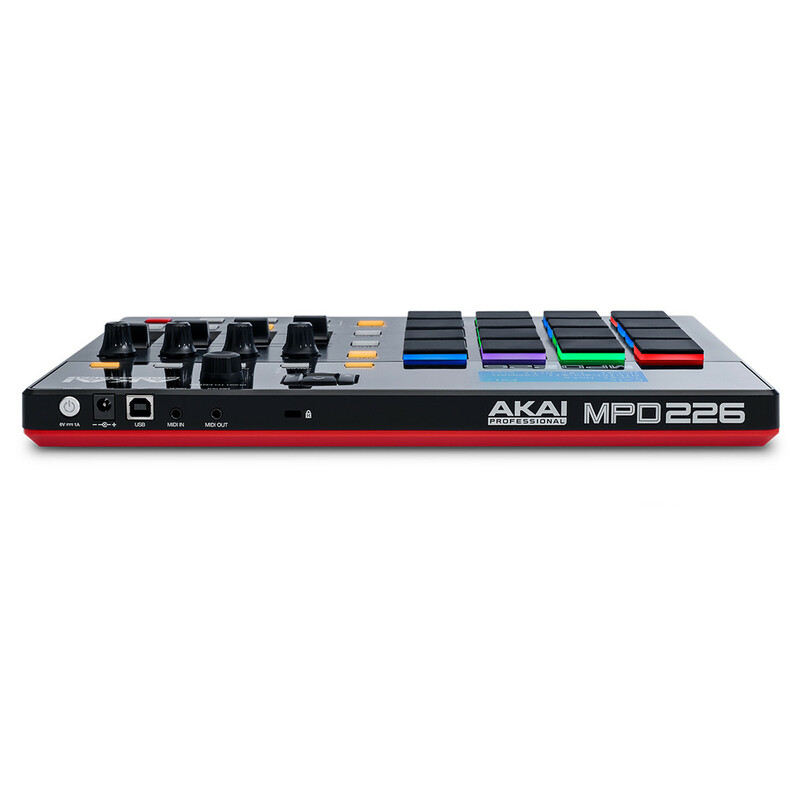 The Akai MPD226 production unit features an integrated plug-and-play USB interface, compatible with both Mac and PC, eliminating the need to install any drivers. MIDI In and Out jacks are also included for controlling external gear, giving you the ability to connect other instruments and sound modules directly to your MPD226. The built-in USB connection is also used to power the MPD226, eliminating the need for external power supplies (which can also be used in live situations). In addition to the improved functionality, Akai have also added iOS compatibility using the Camera Connection Kit (sold separately), allowing you to connect and use your MPD226 with a range of iOS devices. The MPD226 comes complete with over £300 worth of software, allowing you to get started straight out of the box. The bundled software includes: Akai Pro MPC Essentials, Big Bang Drums, Bang Cinematic Percussion from Sonivox, Ableton Live Lite, and Software Preset Editor. This versatile range of software provides you with high-quality samples and the means to produce, record and arrange your MPC226 performances with ease.